But when it comes to lip color, I love to experiment. My lipstick, gloss and lip crayon collection is by far the biggest when it comes to my makeup stash. My latest loot? Kosås lipstick, a Los Angeles-made line dreamed up by founder Sheena Yaitanes, who studied painting and biological sciences — the perfect combination for a lipstick entrepreneur! 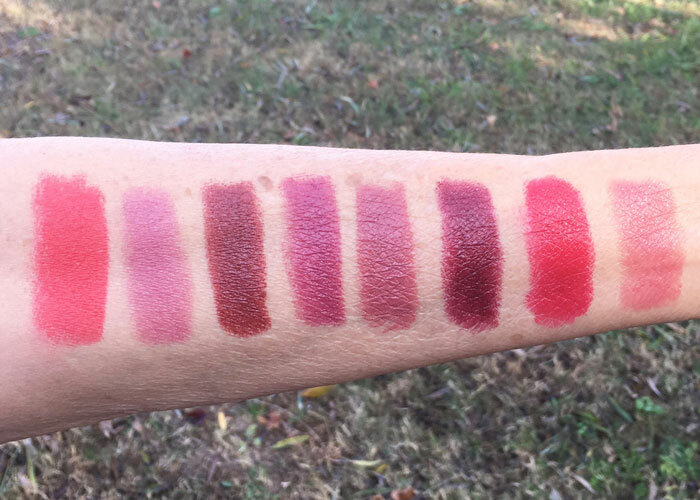 After unboxing Kosås’ eight-lipstick collection, I was immediately taken. The sleek, simple yet dramatic packaging got my attention first. Then, the intense colors drew me in and had my swatching and swiping for quite a while. Whether the color creation was intended to be bold (like these bright reds and brick reds) or simple washes of pigment, Kosås delivered the exact color shown in the tube. 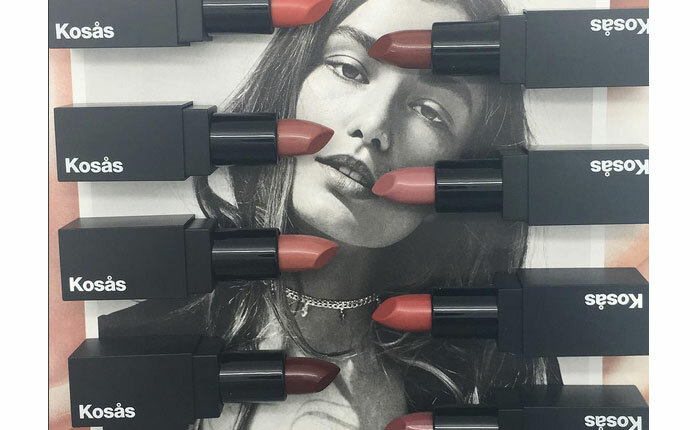 I haven’t been this impressed by a natural lipstick line in a long time. Kosås has shown up to the natural beauty game ready to win with its beautiful packaging, stellar pigments, imaginative colors and reasonable pricepoint ($24!). Each lipstick imparts high-impact color along with creamy moisture thanks to a mixture of butters and oils. Kosås lipsticks simply look good and feel good. Each color is buildable and smooth, with a non-waxy texture that rivals that of conventional luxury brands. For comparison, Kosås lipsticks feel creamier and softer compared to another favorite, ILIA, which feels a little slicker. Both have fantastic color payoff and moisturizing properties, but slightly different textures. If your skin and hair color are similar to mine, I’d recommend trying “Royal,” “Undone” and “Thrillist” to start. These have consistently been my favorites for both everyday (“Royal” and “Undone”) and for a little glam (“Thrillist”). For those of you with ingredient sensitivities or allergies, Kosås products are also gluten-, egg-, nut-, soy- and cruelty-free. For those of you who want a clean lipstick free of broken color payoff promises, Kosås is absolutely for you. In addition to the Kosås website, find the collection online at Ayla Beauty as well as other smart stockists, including b-glowing, Beautyhabit, Shen Beauty and more. Which Kosås lipstick appeals to you most? What are your favorite natural lipsticks? What issues have you faced with natural lipsticks in the past? Tell me in the comments!